Crafters Collection: Large Eye / Easy Threading Size Asst. Large Eye / Easy Threading Size Asst. 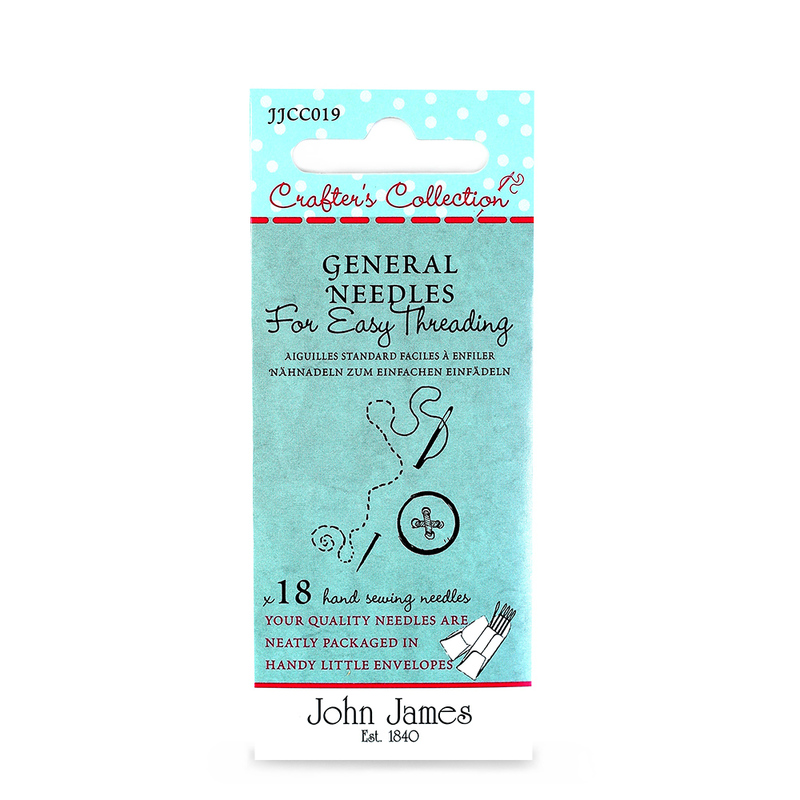 A fabulous combination of large eye needles and a must have for all who struggle and spend longer trying to thread the needle than actually the time spent doing the repair or sewing the odd button on. All these needles have one thing in common they are easy to thread but are not chunky needles, they are needles designed to use in the art of sewing and not “hedge stakes” Included in this wallet is a easy self threading needle which works by placing the thread horizontally over the slit at the top of the eye. The thread is then pushed downwards into the eye and stays in position and this is called a calyx eye.